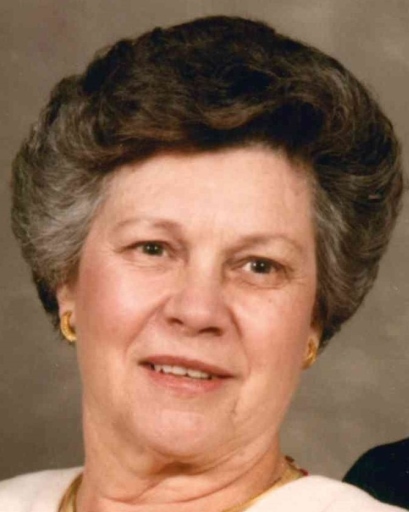 Wilma Jean Elliott Tipps passed away on January 25, 2019 at the age of 97. She was born on December 8, 1921 to Samuel H. and Maude Elliott in Coffee County Tennessee. After graduating from Franklin High School, Jean married her high school sweet heart, Alfred H. Tipps, (A.H.). They had been married 78 years. After A.H.’s stint in the army during WWII, the couple lived in Chattanooga, and with the exception of a short residence in Roseville, Minnesota, they returned and remained in Chattanooga. Jean was a member of Red Bank Baptist Church where she previously taught Sunday School. For several years, Jean also aided the Red Cross by working at Erlanger Hospital. She and A.H. raised three sons, Dr. Wayne (Valerie) Tipps of Lookout Mountain, Dr. Steve (Mary Leslie) Tipps of Signal Mountain, and Mr. Mark (Joi) Tipps of Nashville. She was graced with eight grandchildren in addition to several great-grandchildren. Though Jean experienced humble beginnings of riding to school in a horse drawn wagon, she was later blessed to tour parts of Europe with her husband. Jean was a godly woman, an avid seamstress, a lover and supporter of family, a great country cook and showed hospitality with a jovial spirit to all. She will be sorely missed. Graveside Services will be at 10:30 a.m. on Monday January 28 at Chattanooga National Cemetery. After the burial the Memorial Service will be at Red Bank Baptist Church, Dayton Blvd at 12:00 noon, with Dr. Fred Steeleman officiating. Visitation will follow at 12:30. In lieu of flowers, memorials may be made to Red Bank Baptist Church or St. Jude Research Hospital in Memphis. The family wishes to thank Hearth Hospice for Jean’s end of life care.